The weather was quite challenging at times. 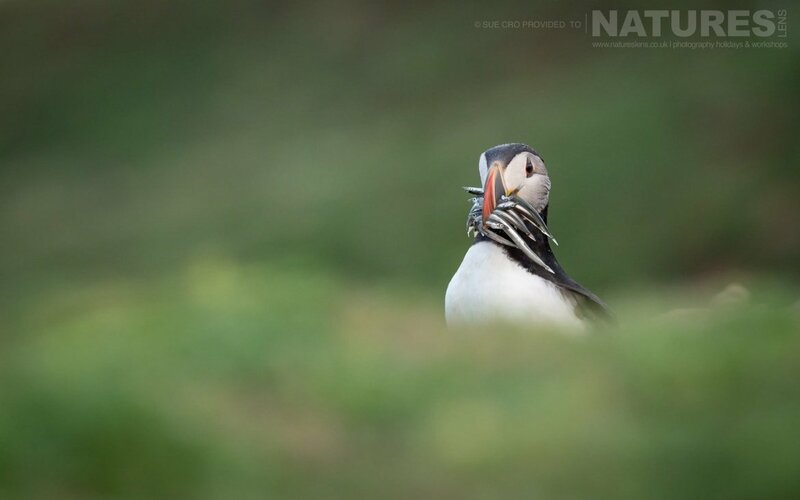 During their time on Skomer Island, our group experienced rain, wind & fog as well as the occasional sunshine; but Sue made the most of the weather conditions & came back with some stunning shots. I love these two images in particular. 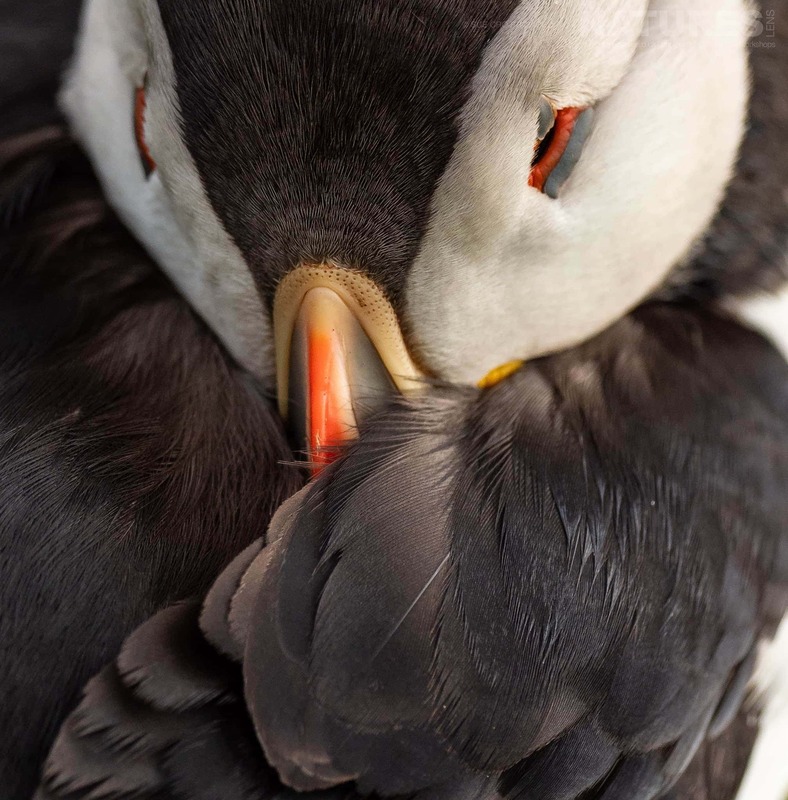 The first is such an intimate portrait while the second shows off the puffin’s quirky & comical nature. 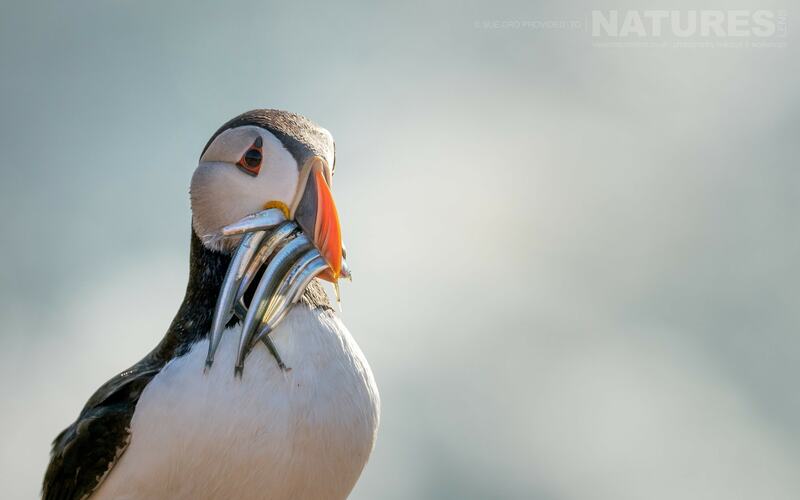 I think that the second image beautifully illustrates why the puffin is such an endearing little bird & loved by so many. 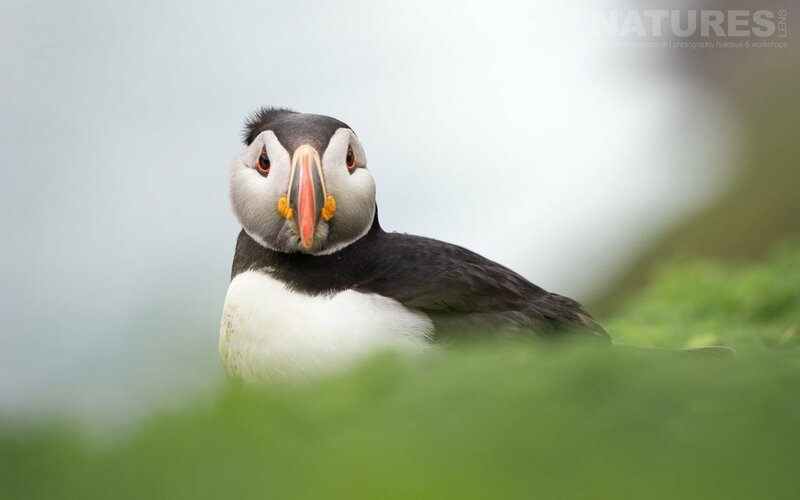 The target species on Skomer is the puffin, but the island is home to many other bird species such as the Manx Shearwater, Razorbills & gulls. 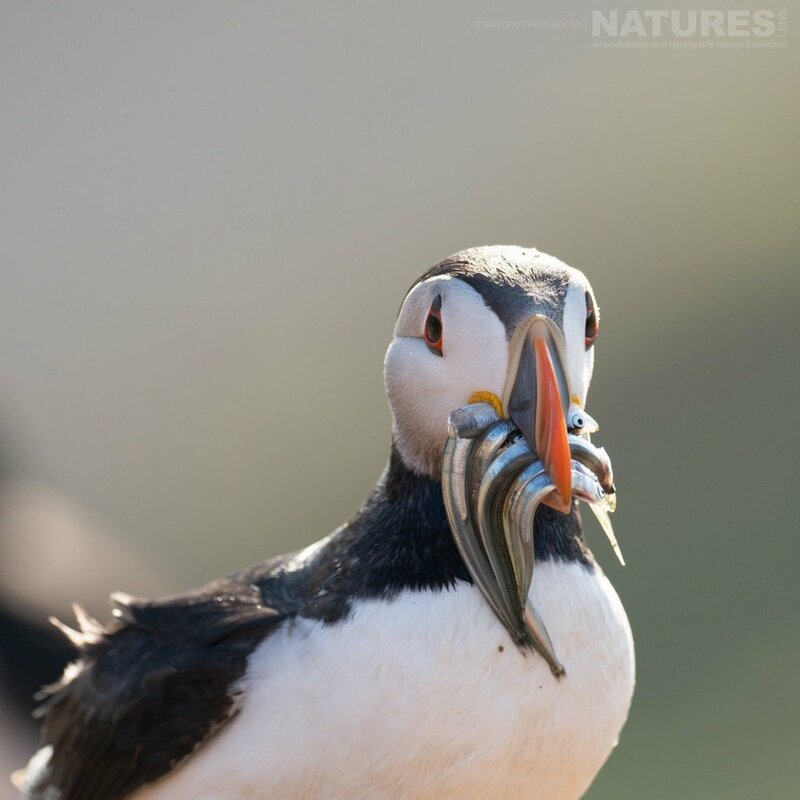 We often get asked the difference between our June & July trips to Skomer. 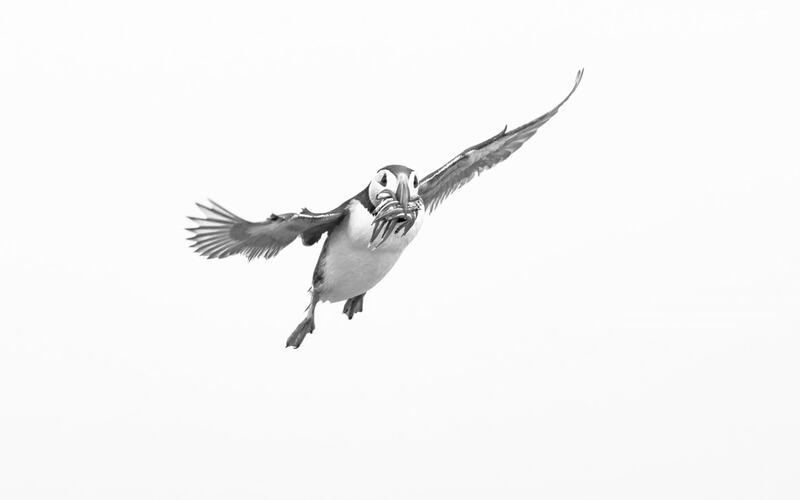 The two trips actually offer different aspects of their behaviour. 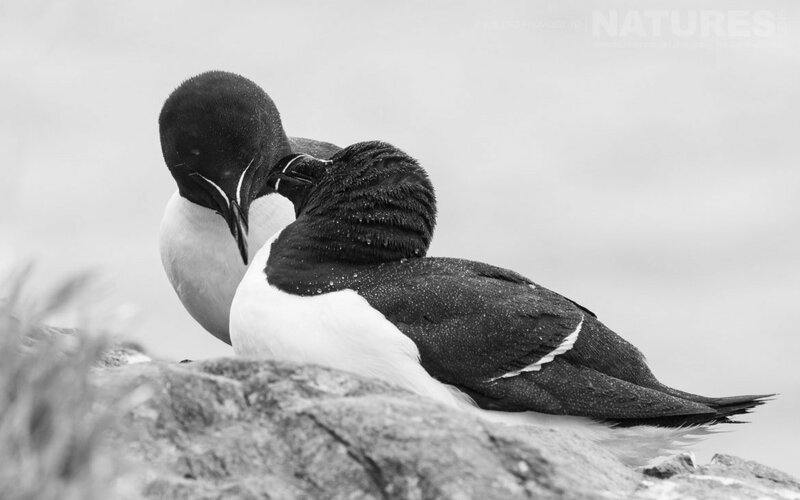 June is generally about courting & nest building, whereas July, due to the arrival or imminent arrival of the chicks, there is a lot more fetching of sand-eels. This is why our guests often book one trip & then in a subsequent year do the second trip! 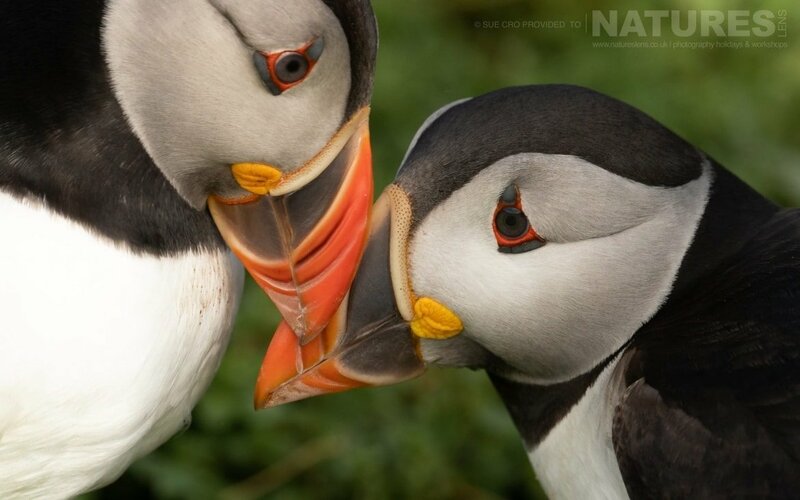 Aside from the amazing photographic opportunities, our Skomer trips are also popular for their social aspect. In past years, many of our guests have formed great friendships & this year was no different. 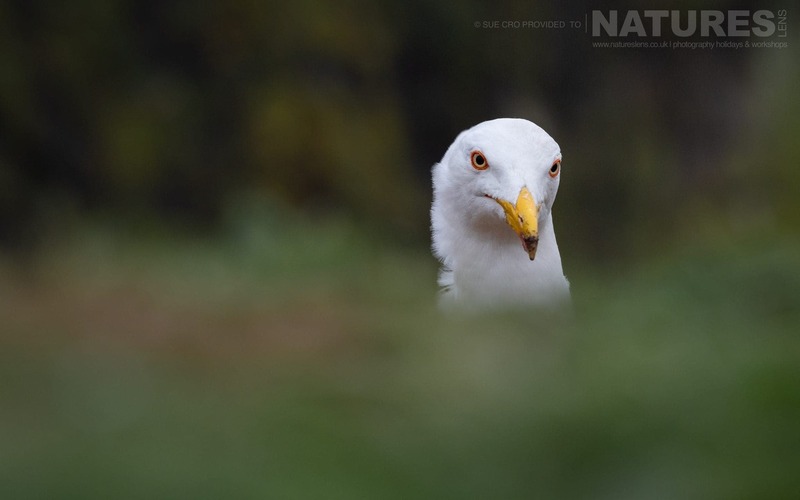 Our guides are always on hand to provide tuition & advice on how to achieve your shots. 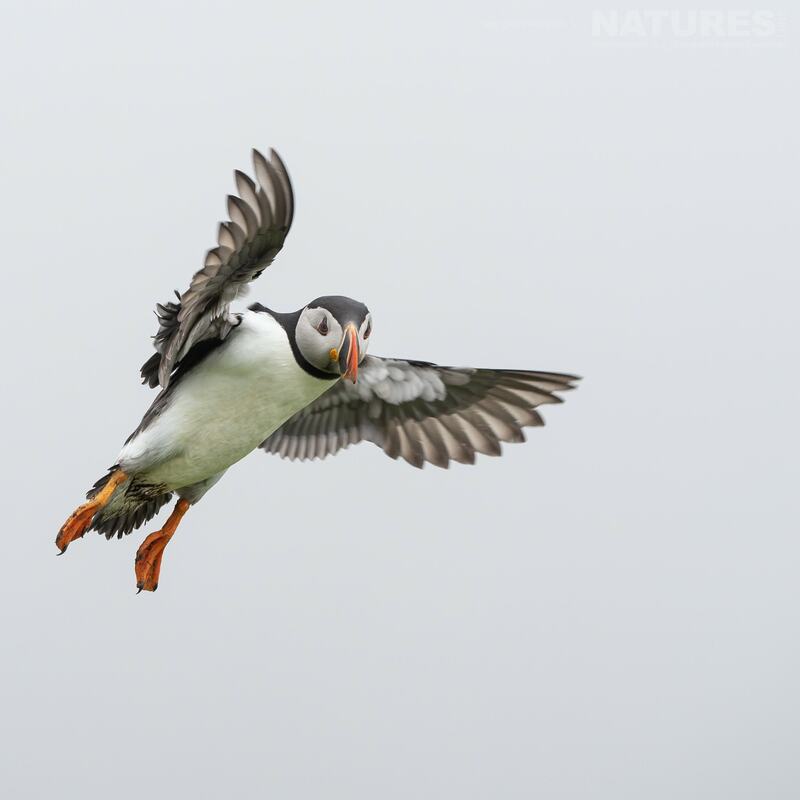 I think the most popular question is how to nail birds in flight. 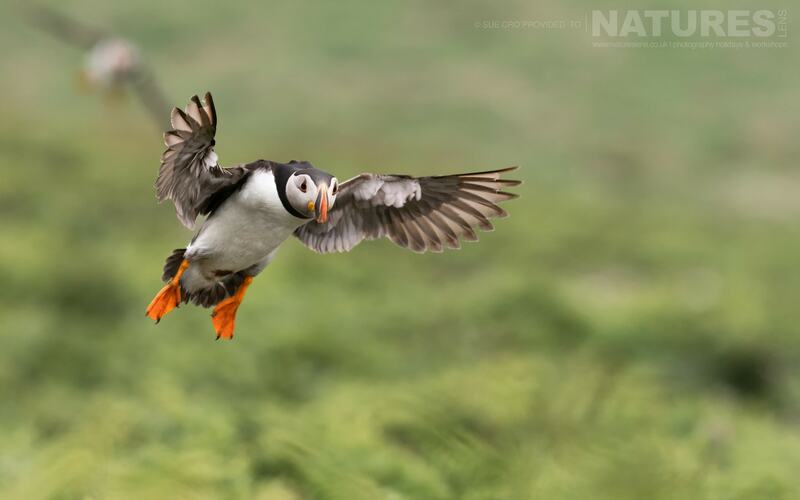 The puffins are like bullets – small & fast, but with 4 nights on the island, there is plenty of time to practice! 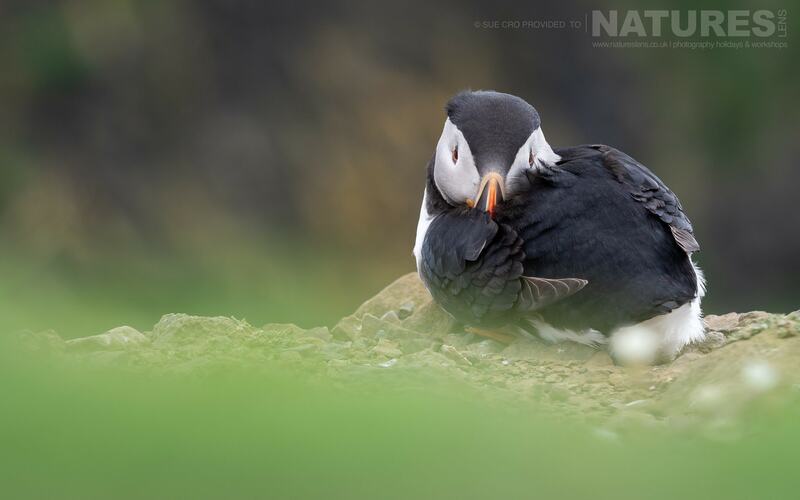 This was Sue’s first trip with us & when she got back she said: “I had such a wonderful time and can’t wait to go on my next NaturesLens trip”. 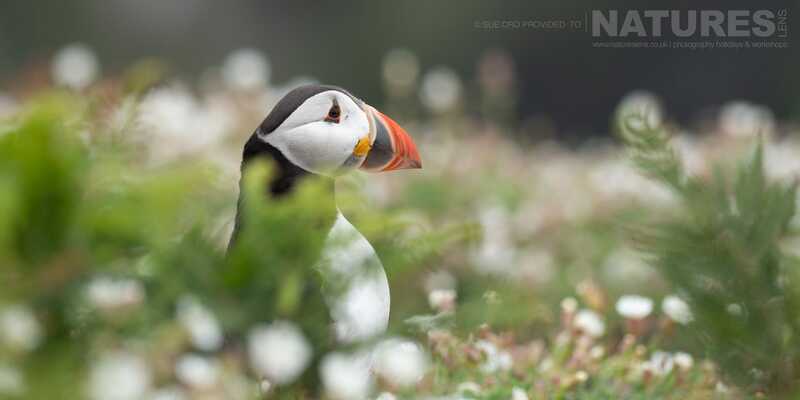 Thanks to Sue for sharing her wonderful images with us. See you again in January for the Dalmatian Pelicans! 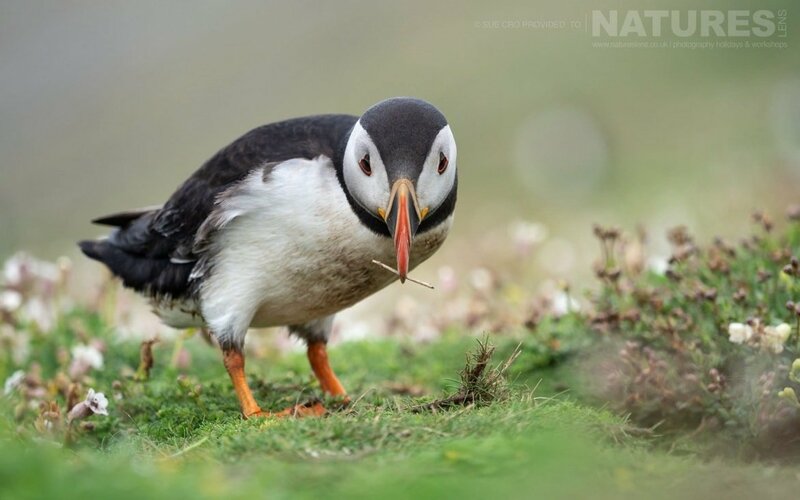 We have two places left on one of our trips in 2019, so to photograph the Puffins of Skomer Island for yourself, join Ian Roberts & Robin Lowry, members of the NaturesLens guiding team, in Skomer Island, United Kingdom during June 2019 for a trip lasting 4 nights; this photography holiday will offer you the opportunity to capture images of the comical atlantic puffin; the NaturesLens Atlantic Puffins of Skomer Photography Holiday is offered on a half board, shared room basis, & costs £699 per participant. 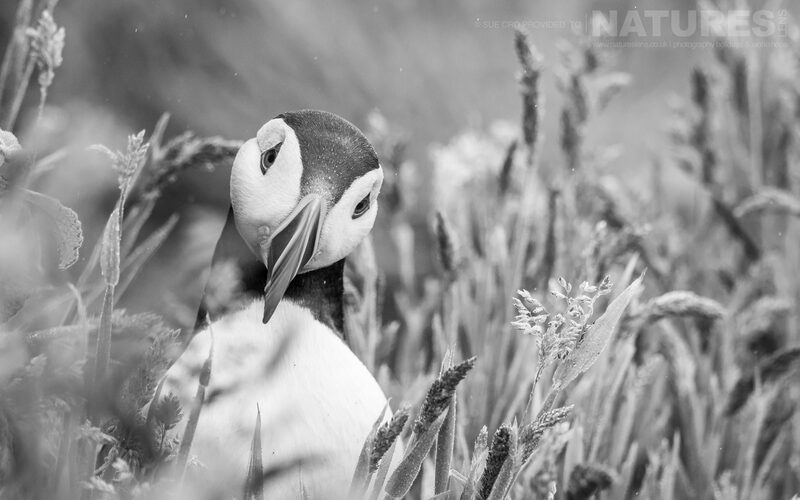 All the details of the Atlantic Puffins of Skomer Photography Holiday are available on the dedicated event page. This entry was posted in announcements, client images and tagged photography holiday, puffin, skomer. 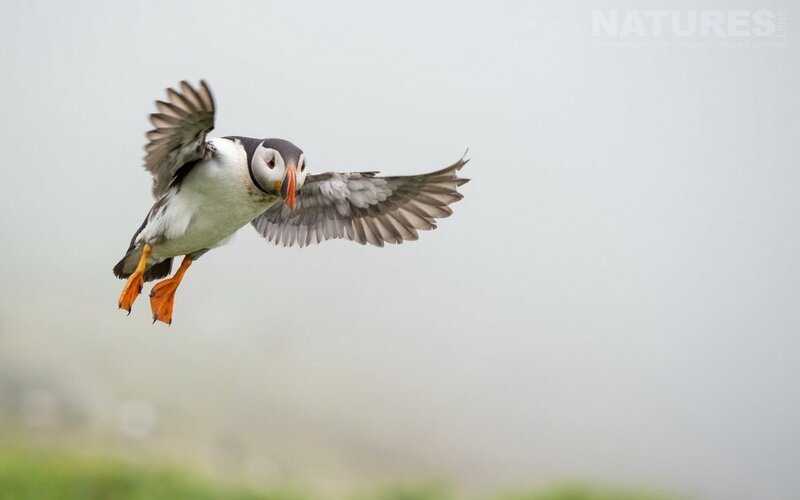 Whatever your query regarding our photography holiday, Puffins of Skomer by Sue, please fill out your details below & we will get back to you.